Swedes are the small turnips often with a purple top. You can find them in independent greengrocer shops. Heat the oil and fry the white onions for around 5 minutes until softened. Add the sliced swedes and fry for another 3 minutes. Add the bouillon, honey, bay leaves and chilli flakes to taste. Bring to the boil and cook for 20 minutes until the swedes are soft. Puree using a blender. Leave to cool slightly. Add the single cream and blend to a smooth soup. Leave on a low heat to keep warm. Heat the rest of the oil and fry the red onions until crispy. 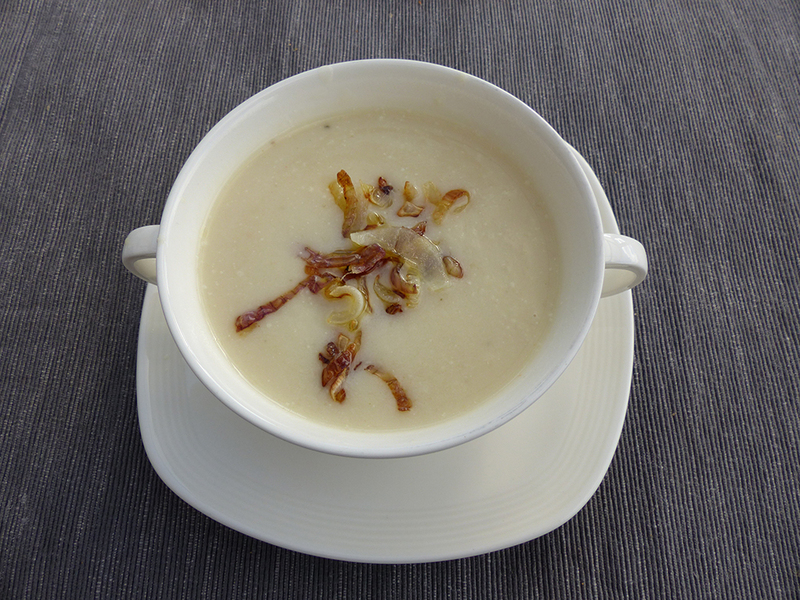 Serve the soup with the crispy onions on top.